This Salted Caramel Granola is dessert for breakfast! Sweet caramel sauce, crunchy oats, and soft chewy dates—it’s my favorite way to start the day! PIN THIS RECIPE NOW! A few weeks ago my sister in law (Irving’s sister) came to visit. She’s also vegan—it’s so amazing to be able to share the same way of eating with some family! I wanted to pull out the stops and create some really amazing vegan meals in her quick 24 hour visit, but I also wanted to be practical in regards to time, especially for breakfast—we are not fast movers in the morning to begin with, so pancakes and waffles end up taking until lunchtime! Enter Salted Caramel Granola. Homemade. Delicious. Easy. Fast. Not from a box. Prepared ahead of time! Serve with fresh fruit and you’ve got yourself a guest worthy meal. During her visit I also served my Mango Fried Rice and a Seitan Steak Salad! Hooray for vegan food! I’ve made this twice in the last two weeks and am making another big batch to bring on my family vacation next week—we’re celebrating my parent’s 40th wedding anniversary! Between the 13 of us—my parents, siblings, siblings in law, and the 3 grandkids—we have two vegetarians (my SIL on my side of the family and my nephew! ), three vegans (us), and one gluten free (yet another SIL!). 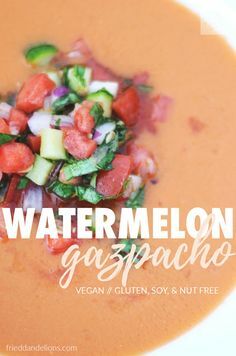 Add in Jonathan’s allergies and we have a whole mess of “dietary restrictions.” But this recipe fits the bill for every single one! This recipe is SO simple. I use oats and shredded coconut tossed with my homemade Salted Caramel Sauce, and then add sweet dates to the mix! I really like keeping it simple, but you could add more seeds, dried fruits, or even nuts. It’s really versatile. All of my boys like it—Jonathan eats chunks of it straight out of my hand, and I love it with some homemade Coconut Hemp milk. My mom is a true granola connoisseur and she gives it her stamp of approval—I think you will too! This Salted Caramel Granola is dessert for breakfast! Sweet caramel sauce, crunchy oats, and soft chewy dates—it's my favorite way to start the day! Mix up your Salted Caramel Sauce according to the recipe. Preheat your oven to 325*. Line a large jelly roll pan with parchment paper and set aside. Measure 4 cups of rolled oats and 1 cup of shredded coconut into a large bowl. Pour the caramel sauce over top and mix well. Spread the oats and coconut onto the lined pan. Bake in the oven for 30 minutes, stirring every 10 minutes to make sure it bakes evenly. In the meantime, pit and dice your dates into small 1/4 inch pieces. Sprinkle 1 T of coconut flour over them and mix well, coating the dates so that they won't be sticky. Pour into a strainer and shake off the excess flour. Once the granola is baked remove from the oven. It may still be a little sticky, but as it cools it will dry. Add the dates and mix well. Allow to cool completely and then store in an air tight container. It will keep longer than it will last in your house—promise! You'll eat this quickly!